The Smith property frontage includes two houses and a garage in the center of town. The Bolton Historical Commission is hosting two events in April relating to a demolition permit application from the Bolton Conversation Trust seeking approval to remove all the structures from the Trust-owned parcels known as the Smith property in the center of town (715-723 Main Street). The demolitions are part of the cleanup and redevelopment plans for the property, a contaminated brownfield site, and would occur concurrent with environmental cleanup activities. The structures include the former garage and two houses (one on either side of the garage). The Conservation Trust has recently unveiled a plan to redevelop the property into a town common and park, to serve as the centerpiece of a town center revitalization. The Historical Commission has deemed one of the houses, 715 Main Street, pictured at right, to be historically significant, a status that could trigger a demolition delay on that portion of the property. The hearing and forum are intended to explore the historical issues as well as possible alternatives to demolition. The Conservation Trust has similarly explored multiple possibilities for the building during the two years of its ownership and planning for redevelopment. After a long and thorough examination, the Trust has concluded that demolition is the most viable step toward achieving its larger goal of revitalization, preservation and public use of the property. 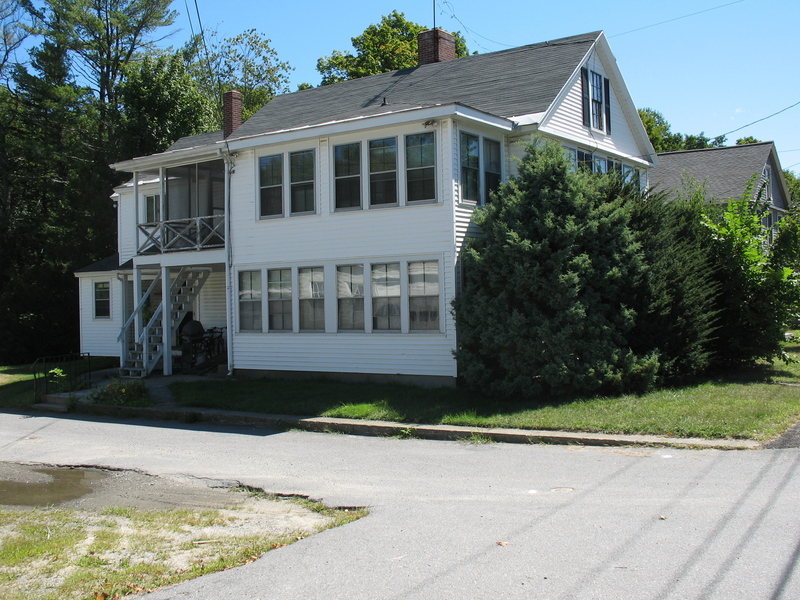 The public hearing to consider the demolition permit application for 715 Main Street, submitted by the Bolton Conservation Trust, will be held on Friday, April 4, 2014 at 7:00 p.m. at the Town Hall, 663 Main Street. The public forum to discuss the proposed demolition and the broader vision of the town center project will be held on Wednesday, April 16, 2014, at 7:00 p.m. at the Bolton Public Library. This entry was posted in Events/Meetings, General, Smith property and tagged Bolton, Bolton Center, Main Street, Smith property. Bookmark the permalink.